I didn't think I would blog so much about motherhood until I realized how little I knew before and now I want to help others get informed with simple things that I wish someone would have told me. Carriers for babies are super common and one can get sucked with the hoopla of whats on trend. Honestly, I never bought a carrier, but I have four! They all were given to me and were hand-me-downs, and I used them all! I wanted to give you a run down of my experience with the carriers I've tried. 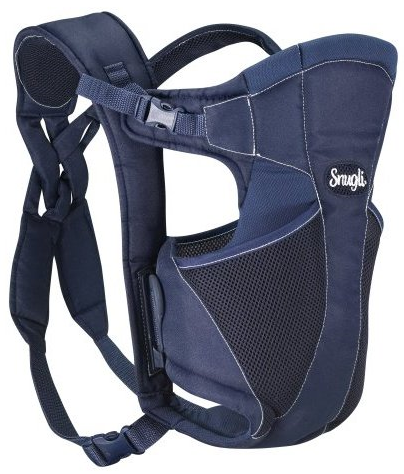 The Snugli was the first carrier and only one I had for the first month and a half. It was given to me by my sister-in-law. I had never heard of it, but I looked it up and it seems like it's more on the affordable side. I actually used it quite a bit since it was the only thing I had in the beginning. It's light and breathable. For a tiny newborn, it a little loose, but at the one month mark they kind of fill it a bit better. I wouldn't recommend it for a longer baby because the head support is a bit low and can't be adjusted too well. Jonah still fits in it, but I don't think it's comfortable for a long period since the straps aren't as padded. But it's not terrible for something affordable, and short term. 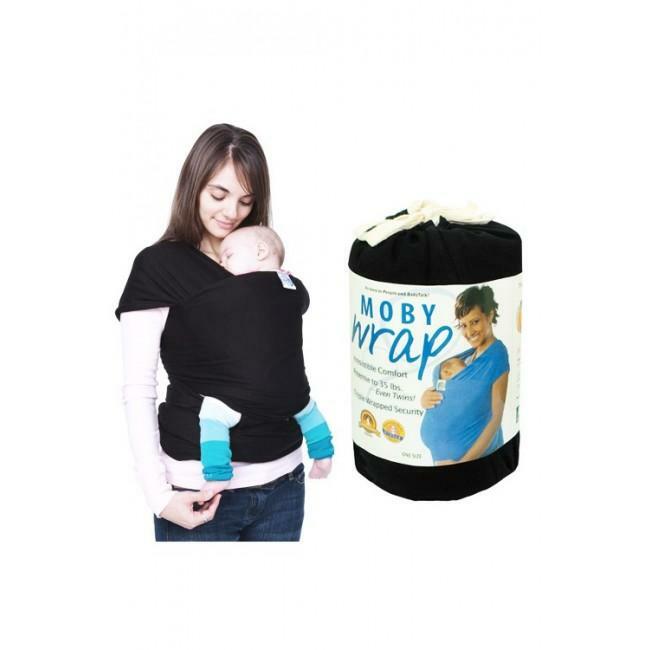 The Moby Wrap was given to my by a friend. I actually was looking into getting a wrap carrier when it was given to me so the timing was perfect. A lot of companies are making wraps just like these, and they all wrap about the same. I have compared this wrap to others, and The Moby fabric is a lot thicker. I used this wrap a lot with Jonah on cold days. It's actually really nice because it keeps him super warm and very close to me. He napped well in it, but he always was bit sweaty afterward. The wrap itself is comfy, but if you plan on wearing it, put it on prior to leaving the house. The wrap is loooong and drags on the floor. So doing it on the streets might not be the best idea. I haven't been using the wrap too much these days because it's been a little warm lately, and takes a more planning when you want to wear it. Overall, I see the appeal of having the baby super close, I sometimes wish it was easier to put on. My sister just gave me the Baby Bjorn a few weeks ago and it's really nice to use. It's super easy to put on. The design is super similar to the Snugli, but the Bjorn feels much more sturdy, and it's way more adjustable. It also feels like your baby can grow more into the carrier as opposed to the Snugli which feels like it's only for a small baby. It's made out of Mesh so it's very breathable. The back support could be better, but Baby Bjorn does make carriers with a lower back support, just this particular model does not have one. So far it's been my favorite. Jonah also loves that he can be worn front facing since he's such an observer. It's very easy to wash, and simple to put on. I love that I can just slip it on if I'm running to the store with my little guy. The ERGObaby has been a carrier I've been wanting to try, except they are on their pricier side. My sister-in-law(who also gave me the Snugli) just recently gave it to me and it feels really really nice on my back. 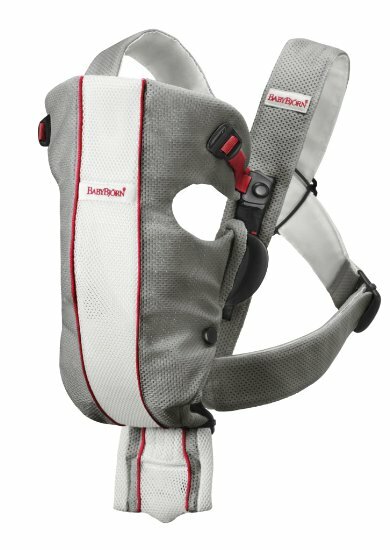 It's a little heftier than the Bjorn, and such a different baby wearing position design. The baby is worn in front of you facing you, and when they get older, they can be worn on your back. I love that it comes with a hood for shade, and there is a waist support that is nice and thick. The only con is that Jonah can't be worn front facing, but ERGO does makes another model that does that as well. This particular ERGO doesn't have a zipper pocket like most do but does have a front pocket that I appreciate since the carriers I own don't. Overall, I think I'll be alternating from the Bjorn and ERGO. They are super easy to put on, and very practical. The Moby is nice, just needs more planning and a colder day since it's so thick. My suggestion is if you know another mom, try out their carrier. 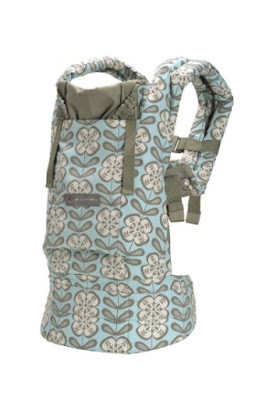 The type of carrier you like will depend on your comfortability and maybe even your relationship with your baby. I really think trying it before hand is best before you invest in a super expensive carrier. I feel very fortunate to have been given so many hand-me-downs to try. They all have been very useful and used a whole lot! Obviously there are more carriers/wraps/slings out there, but these are the ones I've tried so far. Let me know if you have any suggestions for me, or let me know which are some of your favorites!! Just make sure to invest in a carrier, they are life changing!